(Reuters) - Wells Fargo & Co posted a quarterly profit that fell short of analyst estimates on Friday as expenses increased due to former missteps and lending activity dropped, sending its shares down 4 percent in early trade. 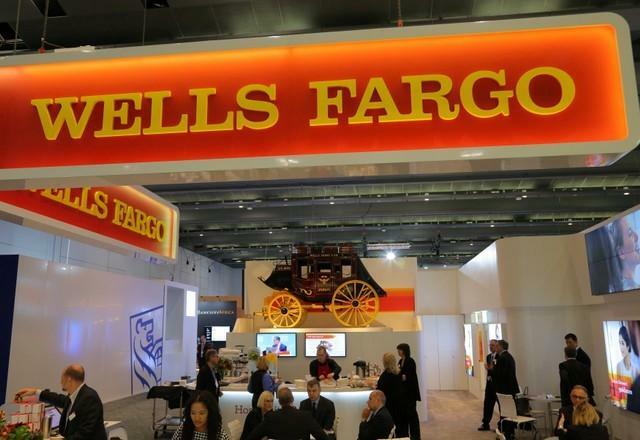 Wells Fargo has booked several billions of dollars in fines and penalties stemming from regulatory probes and to settle lawsuits due to sales and mortgage abuses. The bank's growth is also being hampered by the Federal Reserve, which ordered it to keep assets below $1.95 trillion until governance and controls improve. The fourth-largest U.S. bank saw lower total loans in the second quarter, particularly in its consumer banking unit where most of its issues took place. Total loans fell 1.3 percent to $944.1 billion, with consumer loans dropping 2.3 percent. Commercial loans fell half a percent and real estate mortgage balances dropped 5.6 percent. In contrast, JPMorgan Chase's average core loans rose 7 percent, while Citigroup loans rose 4 percent in the second quarter. Shares of Wells Fargo were down 4 percent at $53.81. Expenses have been a problem at Wells Fargo and Chief Executive Officer Tim Sloan has assured investors that the bank was working on lowering them. The bank has vowed to cut costs by shrinking its branch network, overhauling internal departments, combining certain business areas and other measures. Chief Financial Officer John Shrewsberry said in a statement the bank was on track to meet its expense reduction expectations. The bank set a hard cost target of up to $54.5 billion for this year and up to $53 billion in 2019. In the second quarter, total interest expense rose 56 percent to $3.47 billion, while noninterest expense rose 3 percent to $13.98 billion. Wells Fargo's net income applicable to common stock fell to $4.79 billion, or 98 cents per share, in the quarter ended June 30, from $5.45 billion, or $1.08 per share a year ago. On an adjusted basis, earnings were $1.08 per share, excluding a 10-cent hit from an income tax expense, missing analysts' estimates of $1.12 per share, according to Thomson Reuters I/B/E/S. Total revenue fell 3.1 percent to $21.55 billion, with community banking - the area most closely tied to the 2016 sales practices scandal - posting a 1.25 percent dip in revenue. Net income from community banking fell 10 percent, while income from wealth and investment management - a division the bank has been looking to grow fell 37.4 percent.